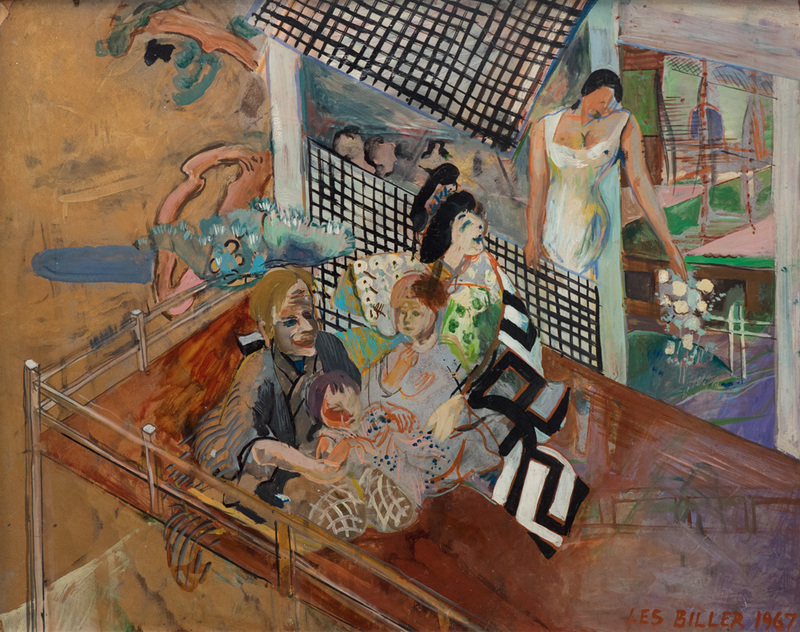 LES BILLER, Isabel, 1966 Oil on canvas. Full painting and detail. The starting point in writing, painting, and many other human activities, is often a dark cloud hiding the brain. Mister Thinking is asleep, or pretends not to be there. Then Lady Intuition appears and bumps into the cloud of Thoughts. There is a path, no one knows where it goes. The human personality perhaps doesn’t have any role in this story, except being driven by emotions. Why I’ve placed a few lines written by early Italian conceptual artists next to Les Biller’s paintings I don’t really know, they were conceived in the same decade but this is a fact, not a reason. Making art was not, for them, living in their heads. Italians are not Americans. Away from reason and structured theories and rationalized spaces for living, away from industrial happiness. In the Nineteen Sixties. My conceptual people did not fear a tentative navigation over a vague, unclear stream of un-decisions: human actions floating in a large, magic space of sensibility; a reality built by our projections, often out of focus, dissolved in nuances, dreams, alterations, disappearances. That’s also in Les Biller’s art. Nor do I want to imprison his American art in an Italian conceptual cage because I’m in my native water with Paolini, Agnetti, Scheggi, Parmeggiani, Patella, Ferrari. But, Les Biller’s art made me find their words today. In the Sixties I was lost in philosophical labyrinths, kissing boyfriends in secret corners, not yet restored, of the Thirteenth century convent that had been transformed into the humanities’ home called Università Statale di Milano. I was fantasizing about the plague, for centuries cured in the same rooms of our classes, when the convent was a hospital. I missed then all the wonderful artists who were there, in the same city or nearby, a parallel universe for me. Yet, now that I read them and hold their art inside me I see that now is the right time, I ‘m a tree of the same forest. 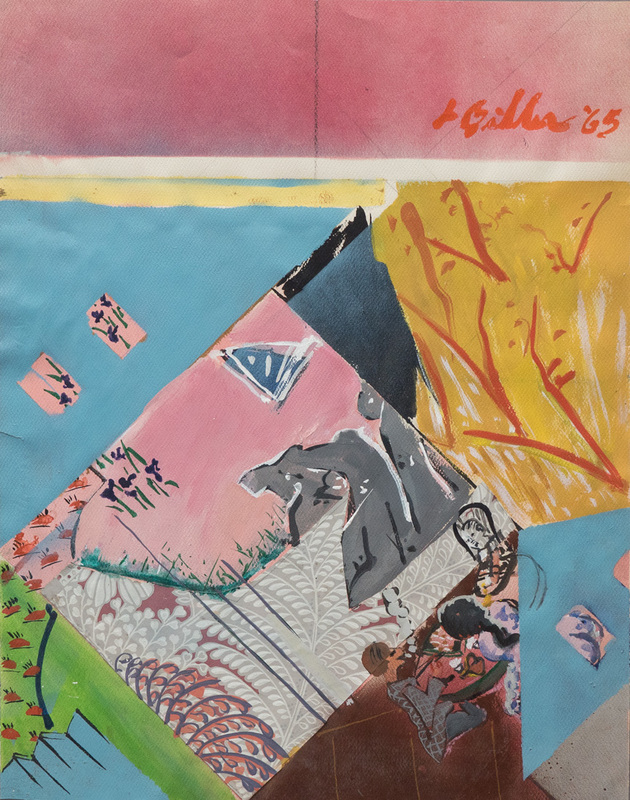 Italian thoughts around Les Biller’s paintings are soft companions offering a glass of wine to their American friend, sharing struggle and doubts. They don’t ask. There is nothing to ask for, only life that becomes art. Isabel’s diamonds spread the sparks of life of a baby girl who did not make it. The painter father asks the bushes to tell his heart, the small figurine fades, while colors sing her laude, forever. “Once upon a time there was … the common place. The violence’s noise … is a guarantee. The wisdom’s sound … is a risk. Not so frequent to meet an artist with family, many children. These paintings, made in a time of transitions, journeys between countries and memories and painting modes, seem to me generated by a secret inner space, the only one from which a new human adventure for an artist can begin. Les Biller lived in Japan for three years with his family, back to Los Angeles accepted a job at UCLA, was a teacher of Figure Drawing with Richard Dibenkorn and Lynn Foulks. 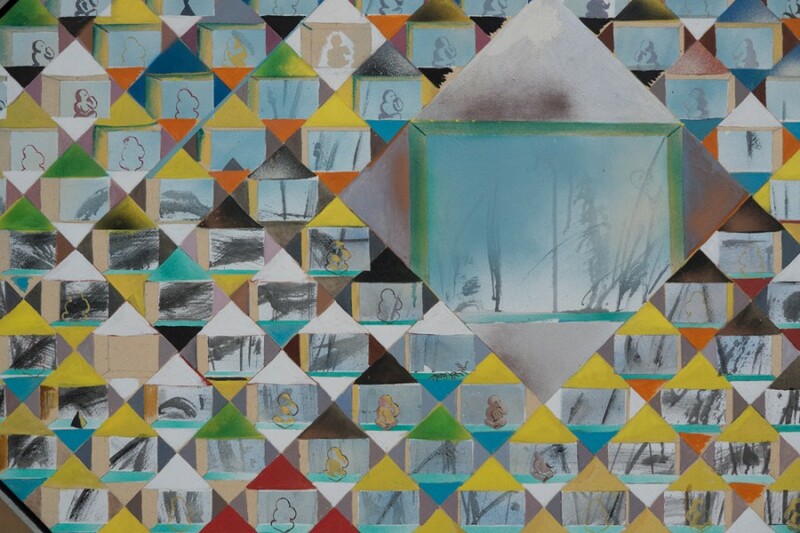 “For each painting I could start a new journey, I only have to go through…” Les says. And it’s a luminous journey; images are not allowed to be still, or organized around one single perspective. They move along with the artist’s mind. A diamond opens its facets to become a garden in dawn and sunset, always pervaded by pink light. As in Samuel Beckett (the short stories written in the late 50s and 60s) things move and get in the artist’s path. They have the beauty of landscapes altered by unconscious turmoils, the eyes editing cuts and angles with humor, and multiplied questions. What to do with flatness? Painted pages. In another beginning, Les has been a writer. But images prevailed. 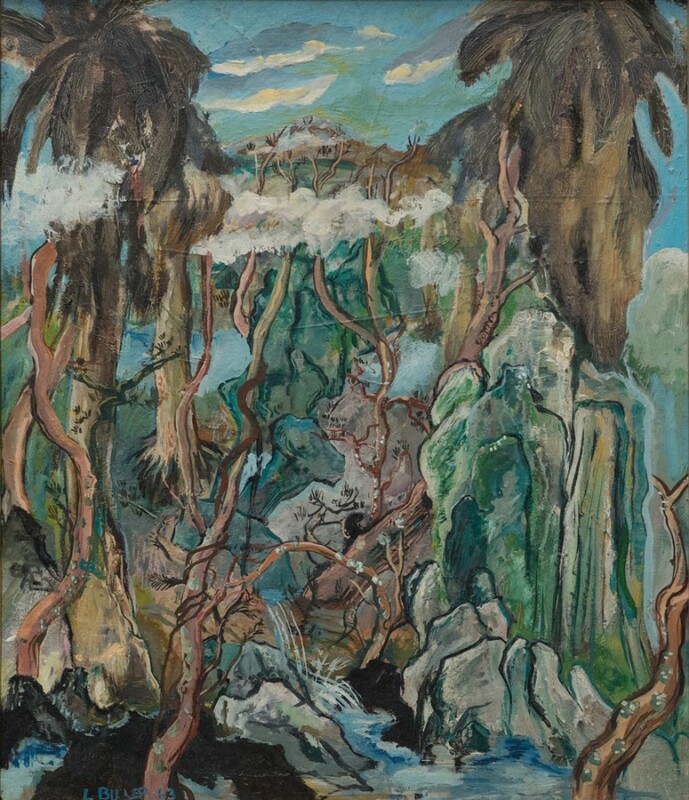 An odd body of transformations brought him to merge Chinese nature with California palm trees, only one jungle growing in his mind, as if time had overcome the resistance, the inertia of images asking to be separately recognized, identified. No way. Here we have the real presence of mental operations. 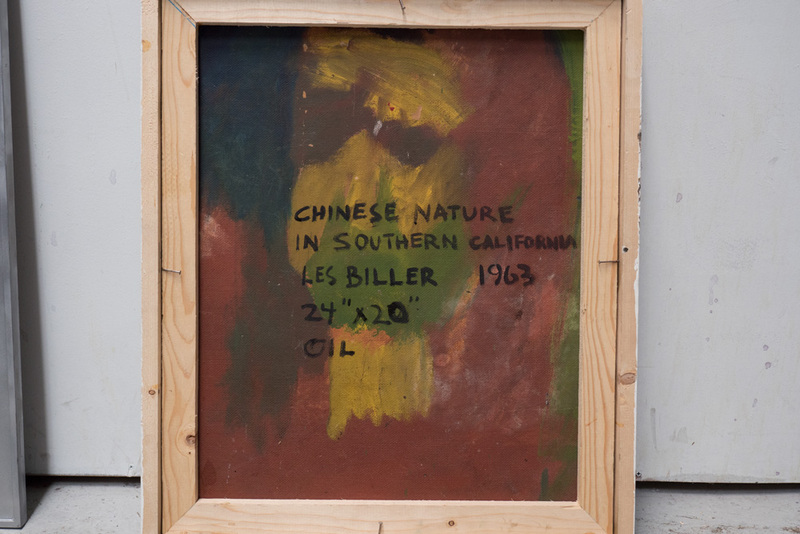 On the living texture —the real canvas of Les Biller paintings— if images seem still, it depends on the distance, but they like better to float, as light as a flying albatross, free from the ground, they never really stop. 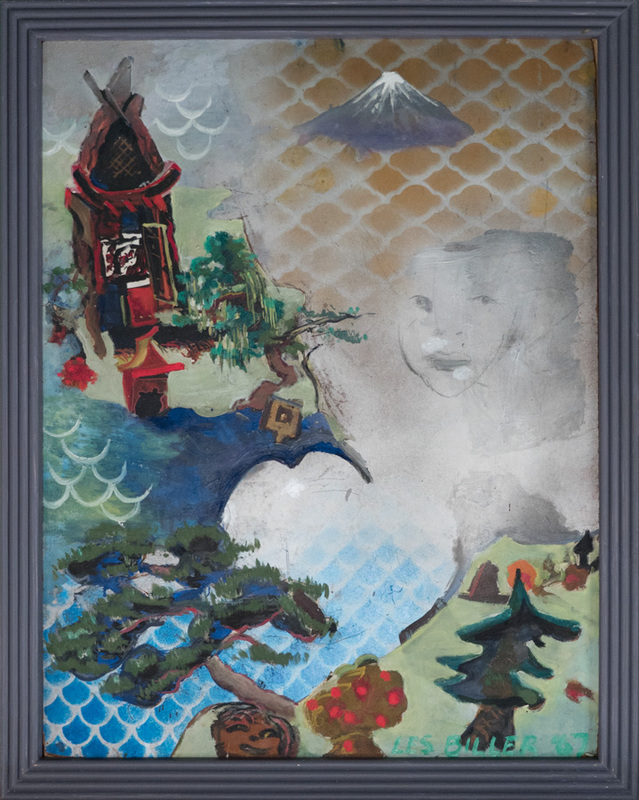 His mind works like an illusionist: “He is a boy and suddenly an old man,” (Beckett) he is a boy enchanted by the oriental furnitures of grandmother’s house and not much later a father in Japan climbing mountains, absorbing fog and colors. 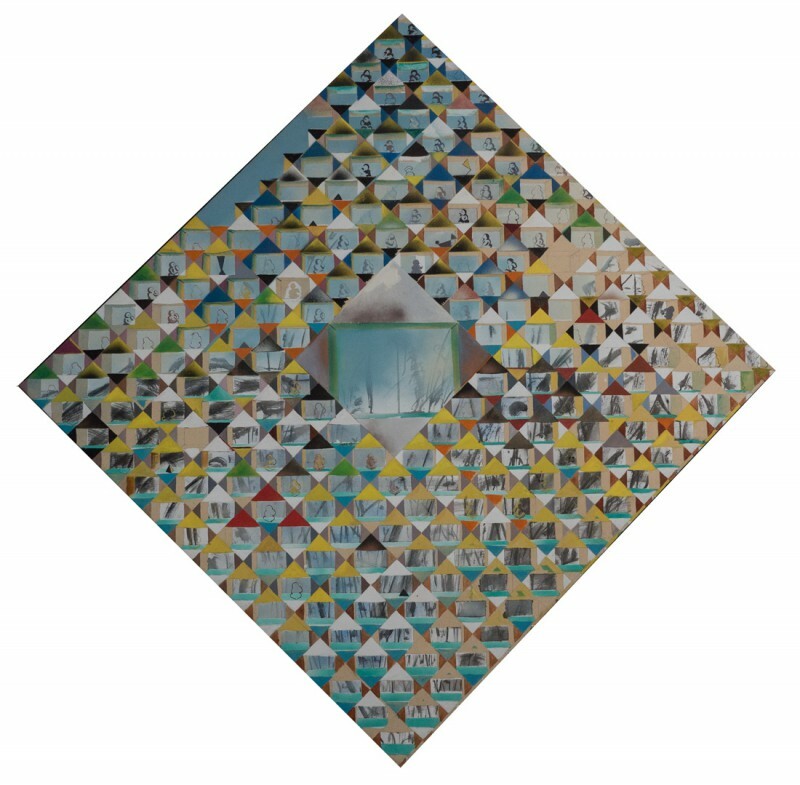 Les Biller’s visions will change in the 70s, but let’s be here with him for a while, taking in with our eyes these few, evocative paintings, “prophetic objects,” and let’s embrace the courage of a dreamer. Quotes of Vincenzo Agnetti, Vincenzo Ferrari, Giulio Paolini, Paolo Scheggi, Claudio Parmeggiani, Luca Patella, come from the small, precious catalogue of the exhibition CONCETTUALE IN ITALIA 1965-1972, published by GALLERIA MILANO in 1987.